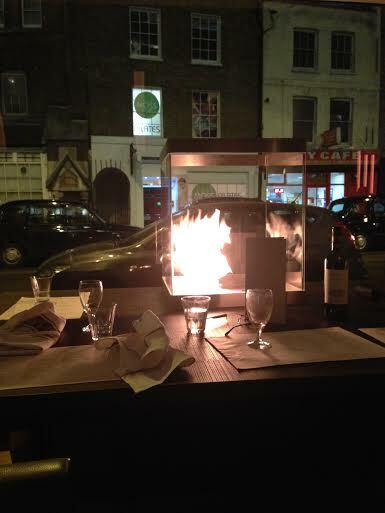 Enticed by the open flames and busy tables, I dined this evening at L’Anima Cafe on Worship Street. We were met with a pained facial expression when we said we hadn’t reserved a table, and no certainty could be given as to whether one would become available. For it to be so busy I thought we must be in for a treat. In hindsight the lack of reservation issue may have been a marketing ploy since miraculously a table became available in seconds. We shared an aubergine parmigiana to start. 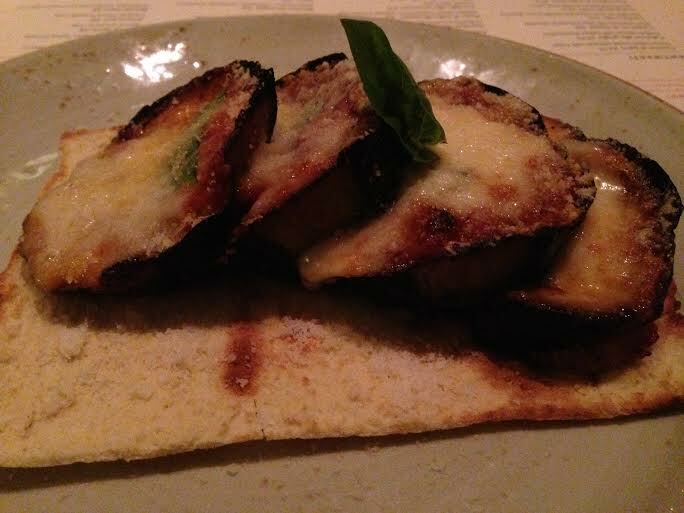 It was presented in an original way as separate neat slices of aubergine topped with sauce and cheese, lined up on a large cracker. It was tasty, but the cracker was a bit soggy and didn’t add anything. For main I ordered braised lamb but was quickly informed there was none left, nor was there any sea bass or steak, leaving only three or so mains to choose from. Reluctantly my second choice was salmon, but given I cook salmon a few nights a week at home, this piece of salmon would have to be especially exciting to get my approval. Metaphorically speaking, it would have had to do an Irish jig on the plate whilst singing a song. It came neatly resting in an open parcel of paper with tomatoes and olives sitting on top but if I say so myself I could have made better myself. 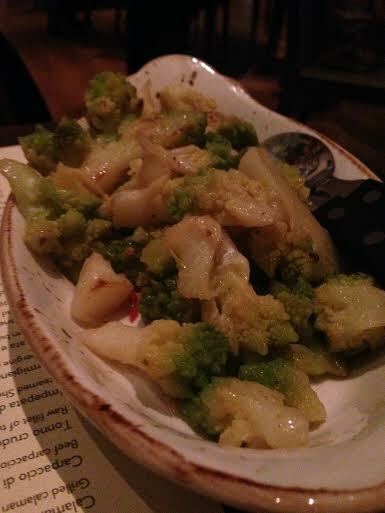 The saving graces (aside from the very pleasant buzzy atmosphere) were the sides; skin-on chips and romanesco broccoli. The broccoli was a new vegetable for me so had the novelty factor and was cooked with chilli so had an exciting kick to it! 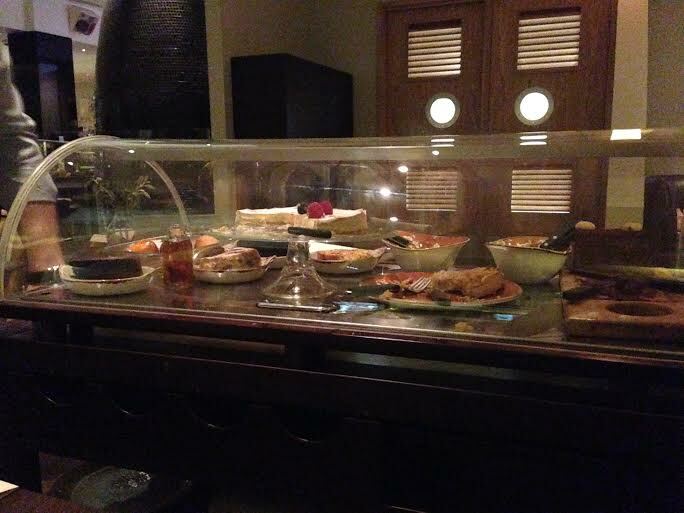 In what is by all other accounts a very modern restaurant, it was surprising to see a dessert trolley, but there it was, along with a waiter and animated descriptions of each item. I wanted to give the desserts the benefit of the doubt so had a slice of flourless chocolate cake. It was pretty lame. If I hadn’t been in such good company I would have left feeling irritable. And for this average meal we paid the dear price of £50 per head, however we had two cocktails each (tough day at work), without which it would have been roughly £35 per head. 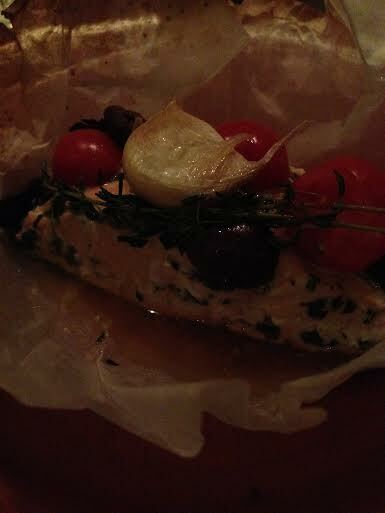 In conclusion, I wouldn’t rush (or even walk at a leisurely pace) to L’Anima Cafe.